A capital lease (or finance lease) is treated like an asset on a company’s balance sheet, while an operating lease is an expense that remains off balance sheet. Think of a capital lease like owning a property and think of an operating lease like renting a property. There are significant differences between a capital lease vs operating lease and this guide will help you understand the difference between the two types of leases and their respective accounting treatmentIFRS StandardsIFRS standards are International Financial Reporting Standards (IFRS) that consist of a set of accounting rules that determine how transactions and other accounting events are required to be reported in financial statements. They are designed to maintain credibility and transparency in the financial world. Capital leases are counted as debt. They depreciate over time and incur interest expenseInterest ExpenseInterest expense arises out of a company that finances through debt or capital leases. Interest is found in the income statement, but can also be calculated through the debt schedule. The schedule should outline all the major pieces of debt a company has on its balance sheet, and calculate interest by multiplying the. Operating leases are used for short-term leasing of assets and are similar to renting, as they do not involve any transfer of ownership. Periodic lease payments are treated as operating expenses and are expensed on the income statementIncome StatementThe Income Statement (or Statement of Profit and Loss) shows performance from operations of a business. The financial statement begins with revenues and, impacting both the operating and net income. In contrast, capital leases are used to lease longer-term assets and give the lessee ownership rights. Capital and operating leases are subject to different accounting treatment for both the lessee and the lessor. For the purpose of entry-level finance interviews, it is enough to understand the accounting treatment for the lessee only. 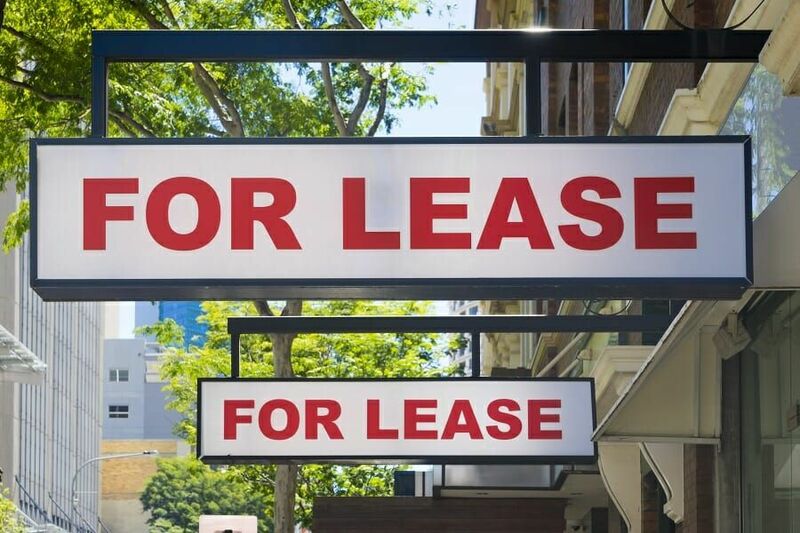 Accounting for an operating lease is relatively straightforward. Lease payments are considered operating expenses and are expensed on the income statement. The firm does not own the asset and, therefore, it does not show up on the balance sheet and the firm does not charge any depreciationDepreciation MethodsThe most common types of depreciation methods include straight-line, double declining balance, units of production, and sum of years digits. There are various formulas for calculating depreciation of an asset. In contrast, a capital lease involves the transfer of ownership rights to the asset to the lessee. The lease is considered a loan (debt financing), and interest payments are expensed on the income statement. The present market value of the asset is included in the balance sheet under the assets side and depreciation is charged on the income statement. On the other side, the loan amount, which is the net present value of all future payments, is included under liabilities. In general, capital leases recognize expenses sooner than equivalent operating leases. 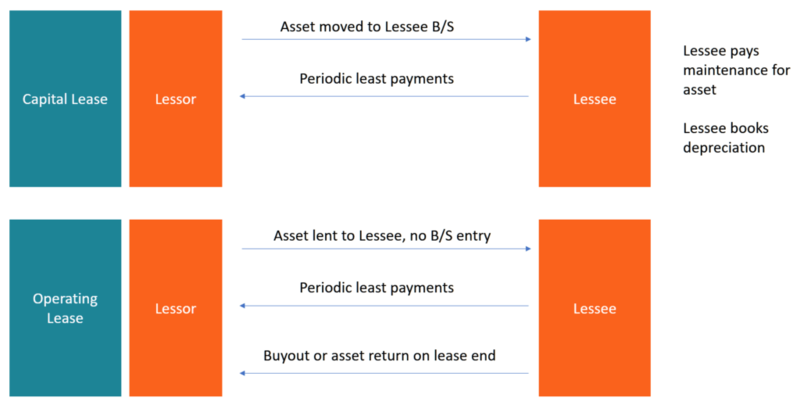 As both capital and operating leases are commonly used by companies, it is useful to gain an understanding of the accounting and commensurate tax treatment for each of these types of leases for both the lessor and the lessee. Each type of lease comes with its own advantages. Depending on the company’s requirement and tax situation, they may opt for one or the other, or possibly even a combination of both for different types of assets.